A fine quality 18th century 'Bristol Blue' decanter of tapering form with 'teardrop' stopper. 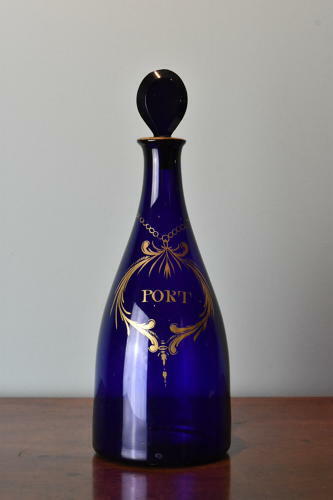 The decanter is ornamented with a gilded label for 'Port'. Circa 1780.